From Mae Hong Son, go along Highway 1095 to the north for 9 km. Then turn right and follow the signs “Namtok Mae Surin National Park”. Guide, boat, food, restroom, safety gear and parking. Pai River is a meandered river that is not very wide. Most of the area of the river is shallow and full of pebbles. You can see rocks emerging at the middle of the river from point to point. Along the river, there is a line of unspoiled forest, which is also a residential area. The Pai River’s rubber boat rafting starts at Ban Huai San Nok in the small river that flows down smoothly to join the Pai River. The first part of the river is about 15 m wide and contains a group of small rapids perfectly for easy rafting so you can feel the nature and enjoy the view. During the rafting, the boat will stop by Susa Waterfall, a renowned waterfall of the Shan people. This beautiful waterfall has water flowing throughout the year. 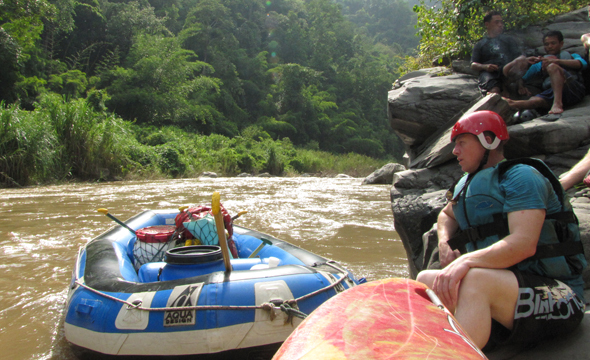 Then the boat will continue rafting along the river until meeting the Pai River. From this point forward, the rocks are getting bigger. These groups of rocks are divided into over 15 parts. Each part can be 30 to 300 m long. 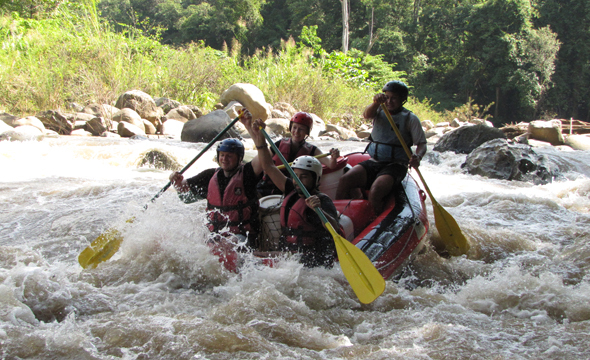 Some parts might be pretty tough with a difficulty level 3-4; such as, “Kaeng Pai Kit”, a highlight of Pai River rafting. Kaeng Pai Kit is like a narrow canal between the cliffs that has the very fast and strong water flow. Before the end of the rafting trip, the boat will stop at a hot spring next to the Pai River where you can relax and enjoy a mud wrap. The total rafting distance is about 50 km. "The best season to do rafting is during July-November. The Pai River Rafting Programmes are offered as a one-day trip from 8.00 a.m. to 5.00 p.m. anda camping trip for 2 days1 night. 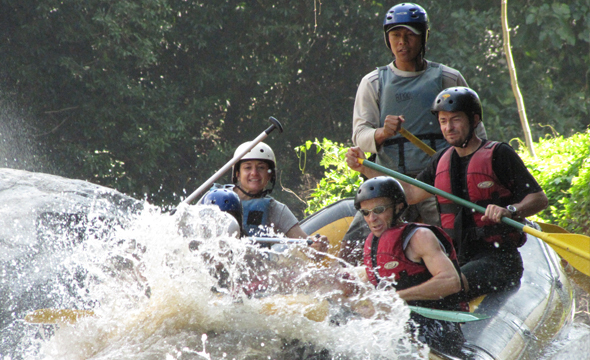 Normally, a rafting package includes a free pickup service from your accommodation. " "You should book in advance and strictly comply with the rafting staff’s instruction."